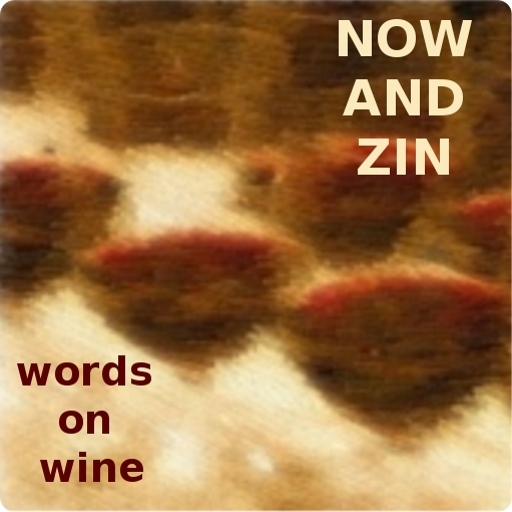 Now And Zin Wine: California Wine Doesn't Have To Be From Grapes - Does It? California Wine Doesn't Have To Be From Grapes - Does It? The California Wine Company was founded in 2009 by twins Alan and Brian Haghighi. Wine fans that they were, they asked themselves, “Why should grapes have all the fun?” There were plenty of other types of fruit around just waiting to be fermented. Never mind that grapes are what you make wine from, dammit! They figured they'd give other fruit a chance. They started selling their batches at San Diego County street fairs and farmers markets. It caught on, and a company was born. Each wine is made entirely from the fruit on the label, free of coloring or flavoring. Their wines are all natural. They twins employ a business model called Social Value Enterprise - they say it’s a "new form of employee ownership." In a Social Value Enterprise," they say, "the founders' shares of the business are folded into a trust. Employees are added as beneficiaries after a vesting period." This allows team members to share in the value of the asset that they help create. They say their wines are fruit forward and not sweet. They advise chilling the wines - the colder the better. They say the cold won't mute the characteristics, but I found that they did mute the aromas quite a bit. They also advise any type of glassware you like - from Champagne flutes to Mason jars. They advertise that their wines are great with food, so snack away. Just don’t get bogged down trying to find a "perfect pairing." I have tried wines made from fruit other than grapes on a number of occasions as I sample the wines of the 50 states. The Now And Zin Wine Country series has brought me wine made from blueberries, apples, pineapples, berries I’ve never heard of - even honey. I have found these different styles of wine to be pleasant at the least, extraordinary at best. Complexity is an issue - usually fruit wines are not complex at all. Since sangria is a fruit punch with grape wine as its base, this is not a true sangria. In Europe, the name sangria is only allowed in wine and fruit concoctions made in certain places, like Spain and Portugal. This pale fruit wine, made from pineapples and mangos, comes as advertised on the nose and palate. The fruit takes the spotlight - it is not complex and tastes just like juice. Acidity is minimal, and it is slightly frizzante in glass. Produced in San Diego County, the wine is recommended by its makers to be chilled before serving - the colder, the better, they say. They also say not to bother swirling and sniffing. "Just drink and enjoy." 11% alcohol, as are the other two. This wine is beautiful to look at. It’s a light shade of red that sits between rosado and Pinot Noir. Aromatically, things are not so beautiful. It doesn't really smell like pomegranates, which is alright with me. I don't care too much for pomegranates. The label promises “fruity and tart” but it comes off more as sour to my taste. The palate is slightly more agreeable, but not by much. Acidity is pretty good, but that’s about the highest recommendation I can make. Follow the winery’s advice and serve it very chilled. After the experience with the pomegranate wine, I was not too excited about his one. Happily, it hit my palate much better. Again, it’s simple. But it is a very refreshing drink and pretty tasty, too. The cherry comes through much stronger, and the pomegranate only adds an earthy quality to it. It’s about the shade of a Pinot Noir, but there the similarity ends. Fans of off-the-beaten-path wines should get a kick out of these fruity offerings, but if you are looking for wine, you should probably stick to those made from grapes. If you don’t mind a little alcohol in your fruit juice, these are for you.